Prim & Mendheim, LLC currently consists of three Dothan attorneys, H. Samuel Prim, III, R. Cliff Mendheim, and Lauren Donaldson. Sam and Cliff, the two partners in the law firm, have over 25 combined years of legal experience. Both attorneys were born and raised in Dothan having graduated from Northview High School together in 1993. Thereafter, they also attended law school together at the University of Alabama School of Law graduating and attaining their juris doctors in 2000. Following their graduation, both immediately returned to Dothan to begin their legal careers and have been practicing based out of Dothan since then. Because of their strong and lengthy ties to the Dothan community, both of our attorneys view their profession as an extension of a deep seated commitment to foster positive growth and reform in Dothan. As such, our attorneys are active in many different local charity organizations, they are devoted family men, and they are zealous advocates for their clients. Samuel Prim is a native of Dothan, Alabama, who graduated from Auburn University in 1996 where he received a Bachelor of Science degree in Agronomy & Soils. He received his Juris Doctor from the University of Alabama School of Law in 2000. He is a member of the Houston County Bar Association, The Alabama State Bar, The Florida Bar, The State Bar of Georgia, and The Mississippi Bar. Samuel serves as the Municipal Judge for the Town of Gordon. 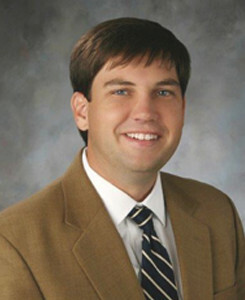 Samuel is licensed to practice in Alabama, Florida, Georgia, and Mississippi. As a partner at Prim & Mendheim, LLC, his main focus is in Consumer and Commercial Collections; Creditor Bankruptcy; Business and Corporate Law; Agricultural Law; Real Property Transactions, Closings, and Foreclosures; and Probate, Wills, and Estate Administration. Samuel and his wife, Amy Hall Prim, formerly of Montgomery, Alabama, are the parents of one son, Sam Prim, IV, and one daughter, Katie Prim, and reside in Dothan, Alabama, where they are active members of First United Methodist Church, with both serving as Sunday School teachers. Samuel is also an active member of the Dothan Rotary Club. A company’s success depends on providing goods and services under good faith. But when the good faith is not returned in the form of payment for those goods and services, the company may need help. Following repeated attempts at collecting from those unwilling to pay for goods or services rendered, a business should turn to a qualified law firm with specific skills in collections. Our firm has a Collections Division, managed by Debby Benny, devoted to assisting clients develop and implement a successful plan of action that will produce consistent results in the form of lower accounts receivable. Call 334.671.9555 to speak with skilled Dothan attorneys at Prim & Mendheim, LLC. Attorney Advertising. This web site is designed for general information only. The information presented at this site should not be construed to be formal legal advice not the formation of a lawyer/client relationship. I agree to the terms in the disclaimer above. "No representation is made that the quality of legal services to be performed is greater than the quality of legal services performed by others lawyers."